We challenge the view that our species, Homo sapiens, evolved within a single population and/or region of Africa. The chronology and physical diversity of Pleistocene human fossils suggest that morphologically varied populations pertaining to the H. sapiens clade lived throughout Africa. Similarly, the African archaeological record demonstrates the polycentric origin and persistence of regionally distinct Pleistocene material culture in a variety of paleoecological settings. Genetic studies also indicate that present-day population structure within Africa extends to deep times, paralleling a paleoenvironmental record of shifting and fractured habitable zones. 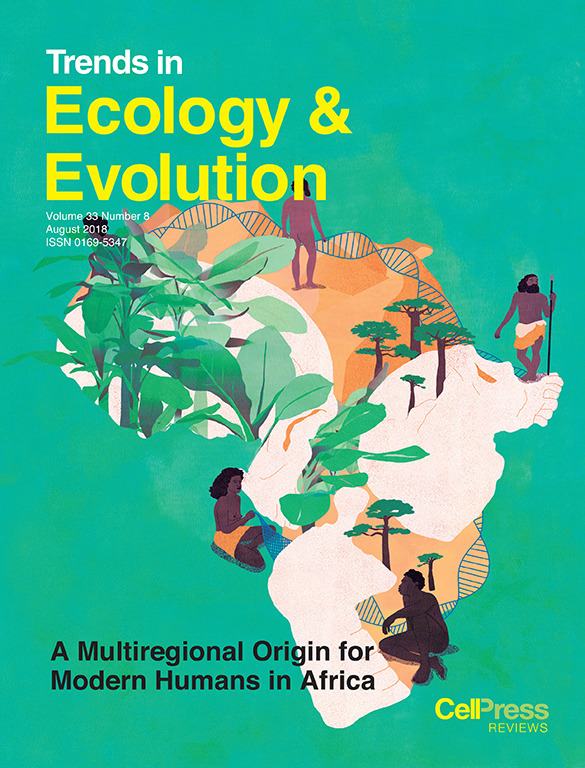 We argue that these fields support an emerging view of a highly structured African prehistory that should be considered in human evolutionary inferences, prompting new interpretations, questions, and interdisciplinary research directions. School of Archaeology, University of Oxford, South Parks Road, Oxford OX1 3TG, UK; Department of Archaeology, Max Planck Institute for the Science of Human History, Kahlaische Street 10, D-07745 Jena, Germany. Electronic address: eleanor.scerri@rlaha.ox.ac.uk. Research Department of Genetics, Evolution and Environment, and University College London (UCL) Genetics Institute, University College London, Gower Street, London WC1E 6BT, UK. Department of Zoology, University of Cambridge, Cambridge CB2 3EJ, UK. Department of Human Evolution, Max Planck Institute for Evolutionary Anthropology, Deutscher Platz 6, D-04103 Leipzig, Germany. Department of Archaeology, University of Cambridge, Pembroke Street, Cambridge, CB2 3DZ, UK; Department of Anthropology, University of Western Ontario, London, ON, N6A 3K7, Canada. Department of Earth Sciences, The Natural History Museum, Cromwell Road, London SW7 5BD, UK. Department of Archaeology, Classics and Egyptology, University of Liverpool, 12-14 Abercromby Square, Liverpool L69 7WZ, UK. School of Archaeology, University of Oxford, South Parks Road, Oxford OX1 3TG, UK; Department of Archaeology, Max Planck Institute for the Science of Human History, Kahlaische Street 10, D-07745 Jena, Germany. Center for Climate Physics, Institute for Basic Science, Busan, South Korea; Pusan National University, Busan, South Korea. Department of Human Evolutionary Biology, Harvard University, Cambridge, MA 02138, USA. Centre National de la Recherche Scientifique (CNRS) Unité Mixte de Recherche (UMR) 5199 PACEA (De la Préhistoire à l'actuel: Culture, Environnement et Anthropologie), Université de Bordeaux, Bâtiment B18, Allée Geoffroy Saint Hilaire, CS 50023, F-33615 Pessac CEDEX, France; Senter for Fremragende Forskning (SFF) Centre for Early Sapiens Behaviour (SapienCE), University of Bergen, Øysteinsgate 3, Postboks 7805, 5020, Bergen, Norway. Department of Anthropology, Harvard University, Cambridge, MA 02138, USA. Geography, King's College London, Strand, London, WC2R 2LS, UK. Department of Anthropology, Center for Advanced Study of Hominid Paleobiology, The George Washington University, 2110 G Street North West, Washington, DC 20052, USA. Department of Archaeology, University of Exeter, Exeter, UK. Department of Genetics, University of Cambridge, Downing Street, Cambridge CB2 3EH, UK; Wellcome Trust Sanger Institute, Wellcome Trust Genome Campus, Hinxton, UK. Department of Anthropology and the Genome Center, University of California, Davis, CA 95616 USA. School of Archaeology, University of Oxford, South Parks Road, Oxford OX1 3TG, UK. Department of Earth and Environmental Sciences, Columbia University, Lamont-Doherty Earth Observatory, 61 Route 9 West, Palisades, NY 10964-1000, USA. Department of Archaeology, Max Planck Institute for the Science of Human History, Kahlaische Street 10, D-07745 Jena, Germany. Department of Anthropology, Emory University, 1557 Dickey Drive, Atlanta, GA 30322, USA. Department of Genetics, University of Cambridge, Downing Street, Cambridge CB2 3EH, UK. Laboratoire Évolution & Diversité Biologique (EDB UMR 5174), Université de Toulouse Midi-Pyrénées, CNRS, IRD, UPS. 118 route de Narbonne, Bat 4R1, 31062 Toulouse cedex 9, France; Instituto Gulbenkian de Ciência, P-2780-156, Oeiras, Portugal.